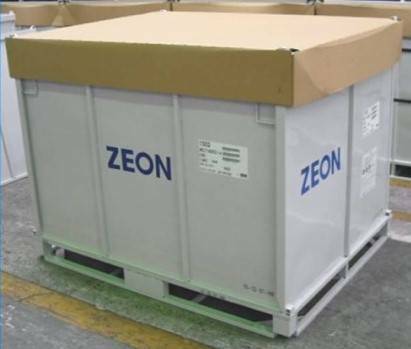 In an effort to reinforce our sustainability initiatives, ZEON ships our custom elastomers in reusable, metal containers called “STEC’s”. These STEC’s are rugged and durable, so your product arrives in peak condition. Why return STEC’s to ZEON? STEC’s are designed as multi-use packaging and need to be returned to ZEON once emptied. ZEON has a special STEC Return Policy and we will pay freight when you return the STEC’s to our facilities. Click the image below to view an easy, step-by-step procedure for breaking down and stacking STECs for return.